The design proposal is for a footbridge commissioned by the Ordos government to cross the Wulanmulun River in Ordos City, Kangbashi district of Inner Mongolia. 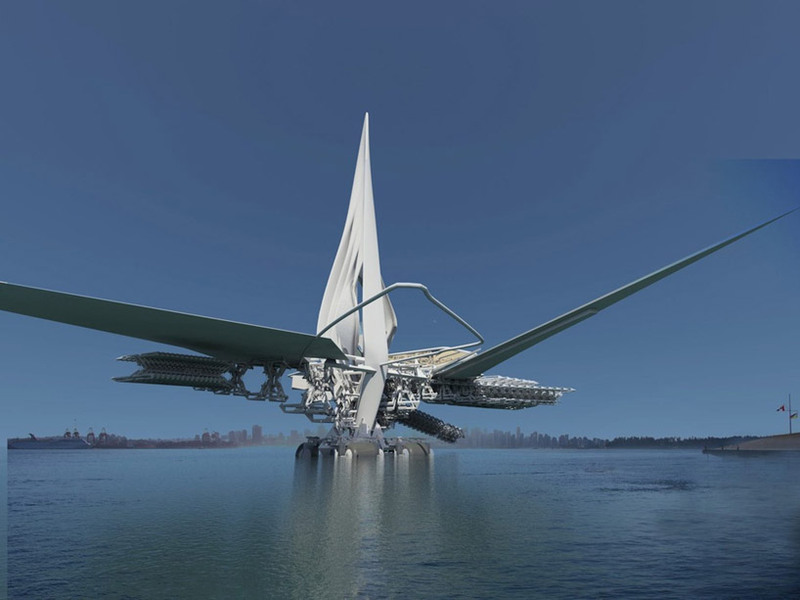 The flexible structure can relocate by sailing along the river to its new position. Kangbashi’s core downtown is located on the north side of the river while housing complexes are on the south side. 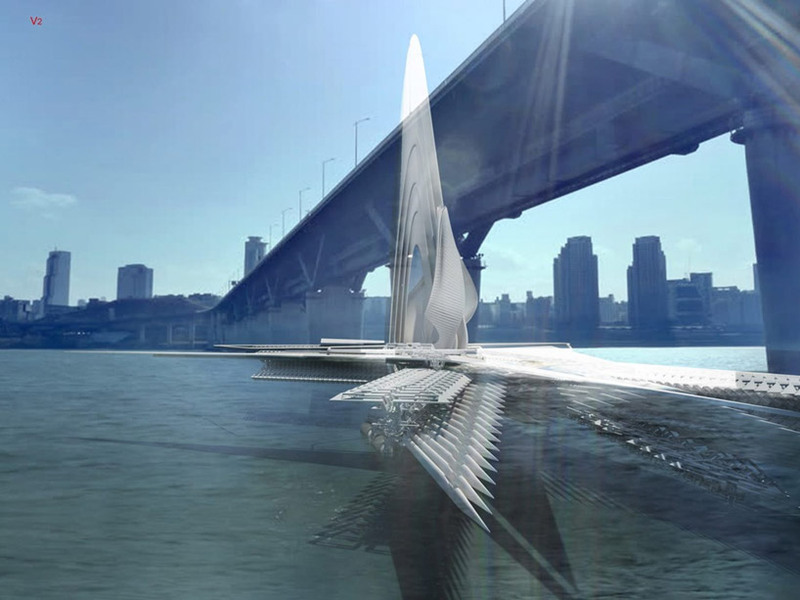 This bridge design by London-based architect Margot Krasojevic is a flexible structure that can relocate by sailing along the river to its new position. 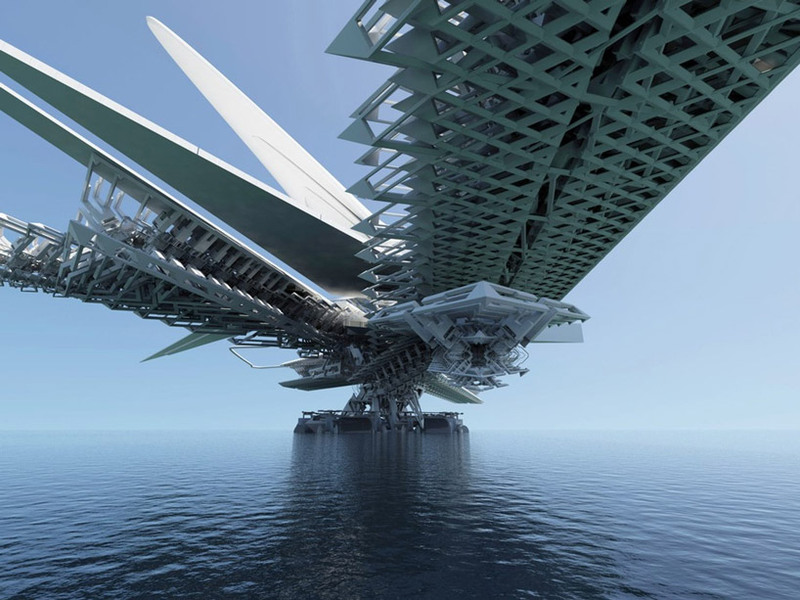 The revolving sail bridge consists of a main floating section that supports three expanding walkways, and a carbon fibre triple sail. 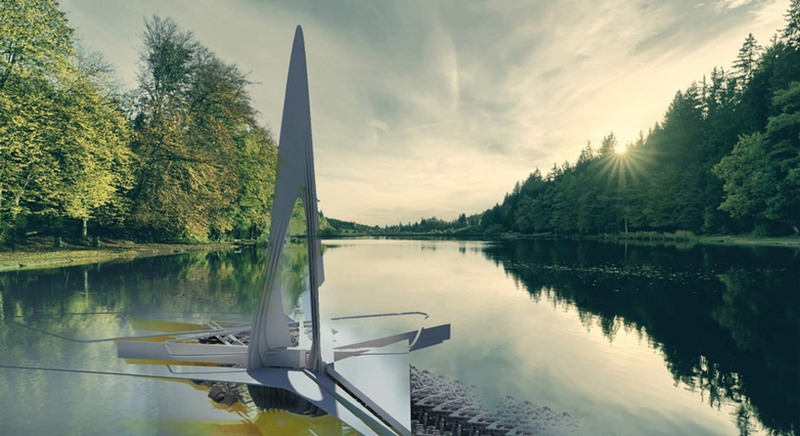 With its transformable nature, the moving bridge can fold its multiple sections in a stackable way to move along the river in a more natural way, architecture and design digital magazine designboom reported. 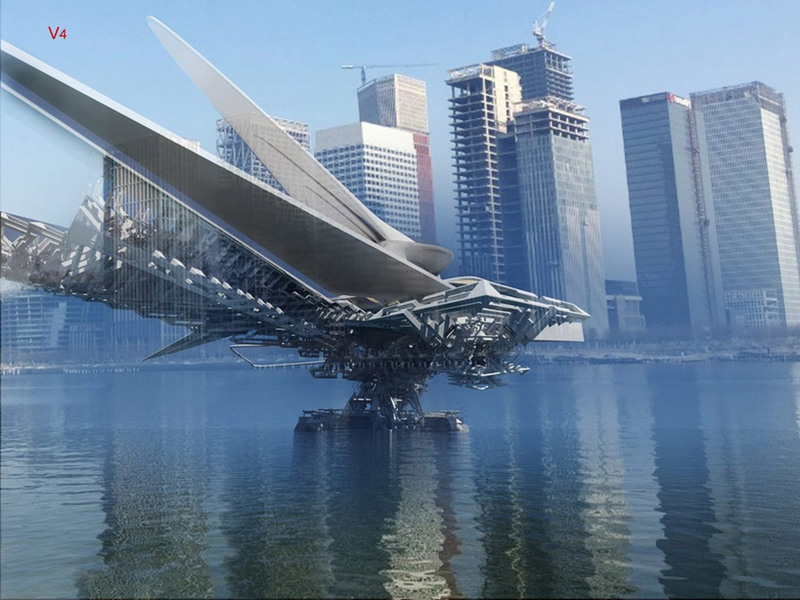 Its flexible walkways adapt to different quays and span across the river, expanding and folding accordingly. The hydraulic walkway is supported by the river bank’s landing docks while the bridge’s main body is kept afloat by the sail and its rotator. Set in an array, the cylindrical crossflow turbines skim the water surface. Their buoyancy aids in the support and stabilisation of the bridge’s primary structure as it acts as a raft. When the bridge is in use, the sail is lowered and acts as a canopy over a seated area for people to enjoy the views and platform gardens. 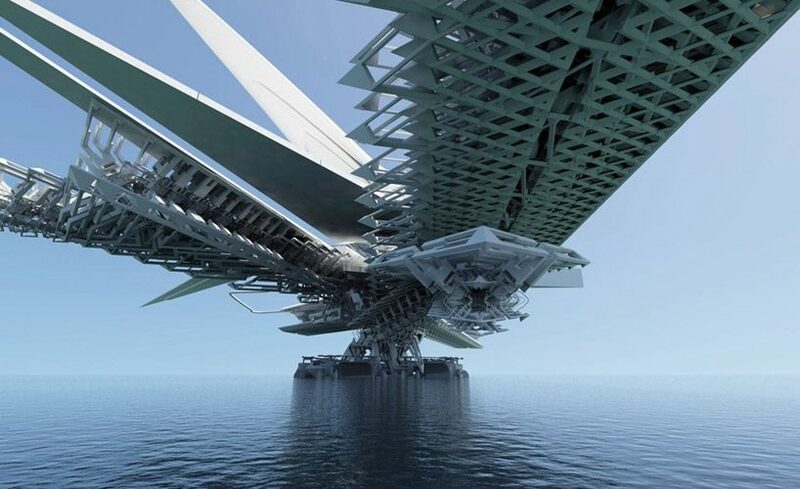 It consists of a main floating section that supports three expanding walkways. Solar panels line the walkway, providing energy for the three electric motor generators. The bridge can be towed, sailed or motored into different locations, designboom added. It is Krasojevic’s latest project. She is known for developing a dialogue between architectural form, geometry, sustainability and smart materials. She told MailOnline the revolving sail bridge tries to define a new typology for a bridge which synthesises movement and flexibility like a yacht. The structure is shown at different scales with all the configurations of walkways expanded giving an idea of flexibility and location. Krasojevic said she attempted to design a bridge so it adapts to the changing urban fabric to reflect a city’s constantly fluctuating population and programmatic density. The moving bridge can fold its multiple sections in a stackable way to move along the river. Once complete, the footbridge will be able to fold up for transport and to adapt itself to its surroundings, allowing it to move up and down the Wulanmulun River through onboard sails or by tow. Screw-in moorings, along with nine-ton anchors, are also used to ensure stability and prevent the structure from drifting away. Sailing along the Mongolian river. 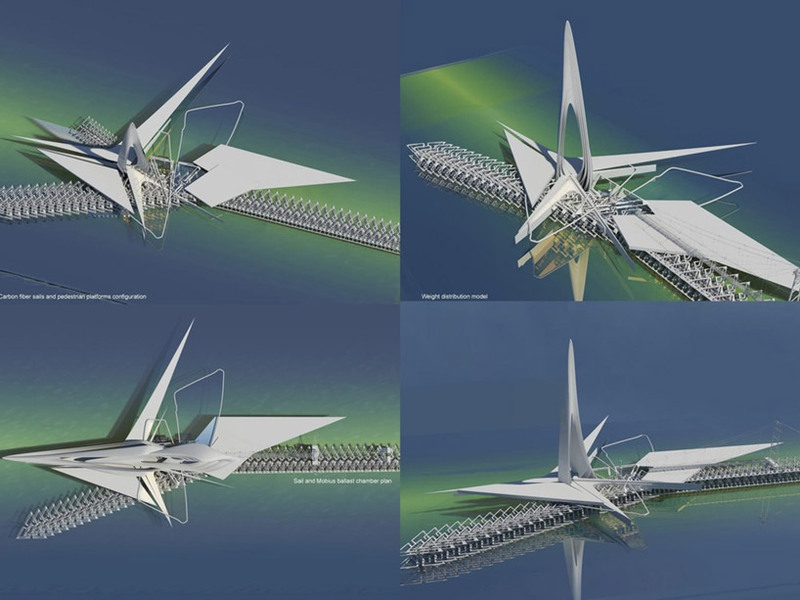 The different positions the flexible revolving sail bridge can adapt to.